Whether you manage a movie theater, fitness center, country club, car dealership, or office building, there are certain products and services that your customers expect you to deliver in a reliable and friendly fashion. However, it is important to remember that many other aspects of your business will sway consumer behavior just as heavily as the quality of your goods and services. 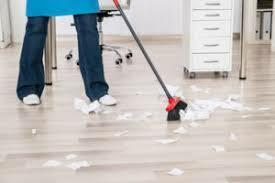 The cleanliness and organization of your building, for instance, is very influential in shaping the impression that your past, potential, and future customers will retain about your business. Your business has a reputation to uphold, and regardless of the way that you serve your community, customers will expect that they can visit your commercial space without seeing smudges on the windows, debris on the floor, overflowing trash cans, and dirty carpets. If fail to utilize proper commercial cleaning to spiff up your space, consumers will begin to doubt your company’s legitimacy. This break in credibility could prove very damaging to your bottom line. The last thing you want people to think when they hear your business name is, “Man, that place is a mess!” You have no doubt worked very hard to establish your business within your community, and you don’t want all of the progress erased if consumers begin to associate your business with something other than the great goods and services that you offer. A disorganized desk is said to be the sign of true genius, but when it comes to running a business, disorganization is the enemy. If your business is too disorganized, your employees will not be able to find the resources they need to work. This inefficiency will translate into poor customer service, which in turn will harm the reputation of your entire business. There is no reason to suffer the consequences of a messy and disorganized commercial space. Royal Building Maintenance serves the greater Tampa area with premier commercial cleaning services, so you can ensure your business always looks its best. Call 813-277-9300to request a free quote now.